Over time, it is easy to become disenchanted with even the most precious pieces of jewelry. Gifts or purchases that were once worn often may no longer bring the same joy, but somehow the thought to sell them never occurs. If it does, it is likely dismissed quickly. 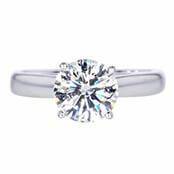 Traditional pawn shops or consignment stores are often unable or unwilling to pay the true market value for your diamond and are therefore not good options. While these used to be the only outlets locally available, with Worthy, this is no longer true. Discover how you can use Worthy to turn your pile of unworn jewelry into resources better spent elsewhere, from treating your loved ones to a vacation to investing in the stock market. Great website, super fast sale and great people to work with. Where Can I Sell My Jewelry in Los Angeles? Local LA Jewelers: Jewelers in Los Angeles are confined to the demand present in their local market and deal with high price competition, meaning they have little reason to extend a just proposition. These shops typically are not very interested in used jewelry unless they can get a big discount, meaning you must make the effort to shop around, which is a tiresome process for residents of a city such as Los Angeles. While consignment stores may seem like a good option, the offers you receive are likely to be below the value of your items. Online: Those who want to sell their diamond jewelry themselves can do so online via Worthy.com, the portal to our network of buyers. We do complimentary grading for your precious stones at GIA or IGI, take precise high-resolution photographs and supply the information most pertinent to our buyers. Simply tell us about your items and we’ll take care of the rest. 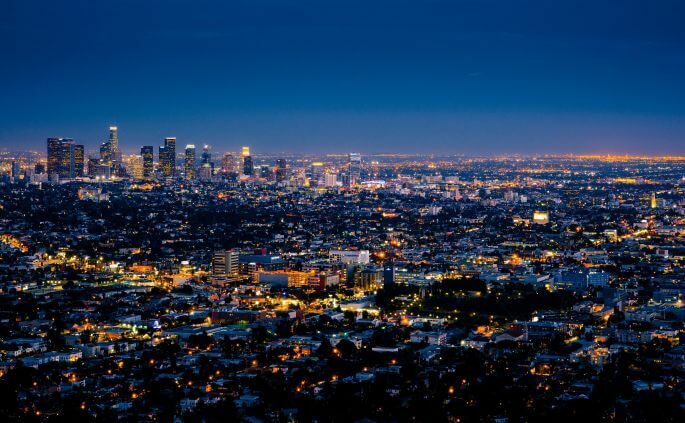 Nicknamed the “City of Angels”, Los Angeles is the economic and cultural epicenter of Southern California. L.A. is the second most populated city in the United States, and the people who make up the city’s 4 million residents are extremely diverse, weaving pieces of their own unique cultures together to create a truly one-of-a-kind place. As an exponentially growing urban center, there are many reasons why Los Angeles has become a magnet for immense wealth and indulgence as well, not the least of which is its proximity with Hollywood. The riches and lure of the silver screen, healthy living, the tropical weather and the beautiful people have made Los Angeles one of the best (and most expensive) places to live in the country. The famous gold rush began just north of Los Angeles, in the mountains, creating one of the earliest destinations for those looking to strike it rich and start anew. The “wild west” attitude towards money tends to result in some very flashy displays of wealth, from supercars to million dollar watches and homes that cost a small fortune. It fits that the jewelry district of downtown L.A. is the largest in the United States with annual sales of over $3 billion. The top place to find quality jewelry in the city is between 5th and 8th street, on Broadway, Olive and Hill. This area has thousands of jewelry buyers who display precious gems, diamond bracelets, necklaces and rings, gold, silver, platinum designs and more. For the best selection, Angelenos usually go to the “550” building (the International Jewelry Center), the California Jewelry Mart or the Pacific Center. How Do I Get the Best Price on My Jewelry in Los Angeles? Getting a reasonable price requires a market of competing buyers to drive the price up, so going to a single jeweler will rarely produce a satisfactory offer. Dealers are only interested in the buy low, sell high game and are concerned primarily with potential customers in their local area. Accordingly, it’s not in their best interest to compromise on price. 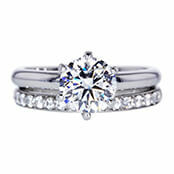 Sellers looking for the most local option can sell their used diamonds online without having to leave their home. Those using to our auction platform can put the pieces they are trying to sell in front of hundreds of buyers. 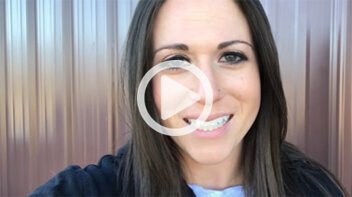 The precise information we gather about your jewelry, including its GIA or GSI grading, makes it easy for buyers who want exactly what you’re selling to find it. 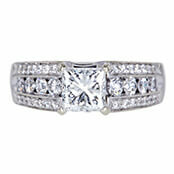 Though there is no shortage of jewelry buyers, selling diamond jewelry in Los Angeles is a lengthy and tedious process. Enjoy a simple and secure alternative when you use Worthy. Your satisfaction is guaranteed. Get a Trending Price – Provide us with information about your diamond earrings, necklace or engagement ring and we will research the market. We then share the item’s trending price with you. Schedule FedEx Pickup – We send you a fully insured prepaid shipping label that is addressed to our headquarters in New York City. This guarantees your jewelry item against loss, theft, or damage while in transit. Grading and Preparation for Auction – To make sure buyers have all the necessary information to compete for the item, we have every piece of jewelry graded at GIA or GSI. The resulting e-diamond report is shared with all our buyers. In addition, we also clean and take high-definition photographs of your jewelry. The Auction Process – We invite buyers on the Worthy network to bid on your engagement ring, wedding ring or diamond earrings. The HD photographs and the diamond grading report provide all the details the buyers need to know about what they’re bidding for. in addition, during the auction, sellers can tune in and watch the process unfold in real time. Collect Your Payment – If your reserve price is met, you promptly receive payment. If the reserve price has not been met, the jewelry will be safely returned to you at zero cost. Operating a reputable online jewelry auction platform requires airtight security, transparency in operation and results that breed trust. We have taken numerous measures to ensure these characteristics are immediately apparent for Worthy users. 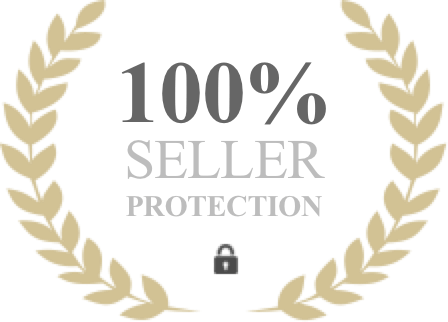 We seek to protect your jewelry as if it were our own, provide a free trending price, and every shipment is covered with up to $100,000 in insurance coverage. Whether it’s going from your home to our office, to the grading lab or the final buyer, all transit is done without risk. One of the hardest parts of improving upon the experience of selling jewelry in person is recreating the control that one has over the sale. However, Worthy’s proprietary platform offers an extremely high level of transparency to compensate. Users are always kept updated on the status of their jewelry, its location, real-time progress on bids and more, and can easily cancel an auction if they want to change the minimum bid. Additionally, objectivity is one of the most important ingredients in creating a lucrative environment for sellers like yourself. Instead of the subjective stance that an individual dealer takes when negotiating for your jewelry, we let official GIA and GSI grading and a wealth of granular data determine the value of any single piece instead of valuing these items ourselves. In this way, buyers can confidently extend better offers with concrete knowledge of the item in their sights. If you are looking to sell estate jewelry in Los Angeles, there are a few good options available. There are some reputable estate jewelry buyers in Los Angeles however you may benefit even more by selling your estate jewelry from the comfort of your own home on Worthy. The success advocates at Worthy will assist you in understanding the value of your estate jewelry and selling it with ease. It’s important for all buyers in our network to be reliable, and we go to great lengths to suitably verify every single one of them. Each buyer who wants the ability to browse and purchase jewelry on our auction platform is thoroughly vetted for solvency, comprehension of intrinsic value and industry experience. This helps to solidify the guarantees under which we operate and to confirm our credibility. The items that our buyers are most interested in are largely diamond jewelry such as rings, necklaces, bracelets and more, but other precious stones and metals will also garner interest. 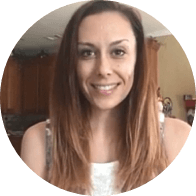 Get started today on Worthy to see how easy it is to create new opportunities from the beautiful pieces gathering dust in your jewelry drawer!